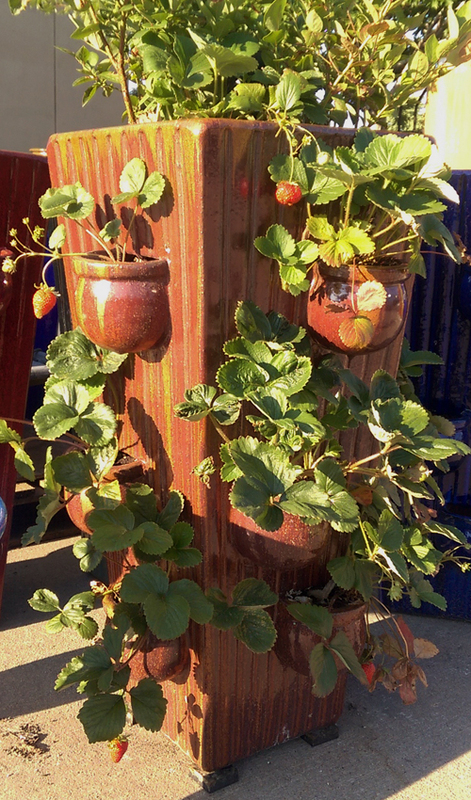 Our Ozark Beauty Strawberries are popping up left and right in our tall strawberry planter at the store parking lot. Something happy and therapeutic about growing your own fruits…especially strawberries. Happy Summer!